The clamp for high torque johnson geared motors. 6 hols for motor mounting and 6 hole for chassis holding. Front center hole: 2.5 cm. Motor mounting holes size: 3 mm. Holding Place width: 4 cm. Chassis mounting holes size: 3 mm. 3x10mm Machine screw motor mounting. 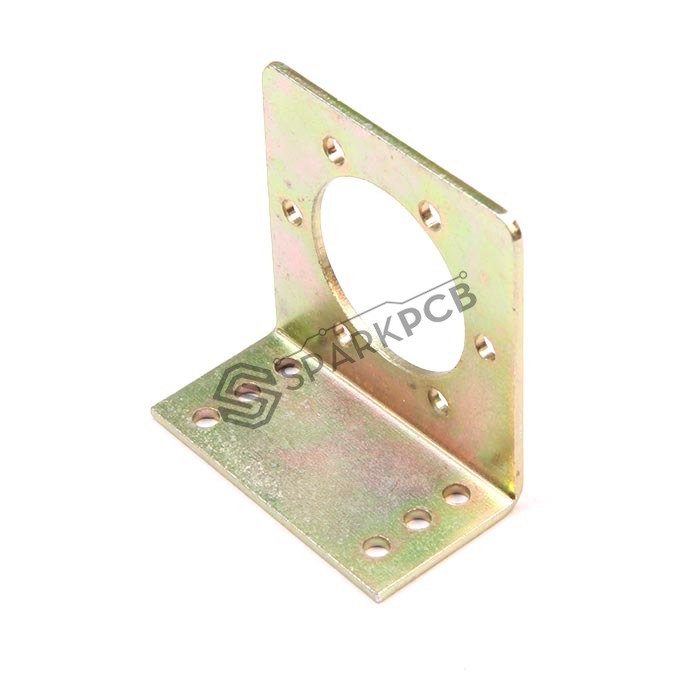 4x9.5mm Steel screw for chassis mounting.